15-year-old education activist Peace joined Malala Fund at the Global Partnership for Education (GPE) Financing Conference in Dakar in February 2018. During the conference, Peace shared her story with world leaders. My name is Peace. I am 15-years-old. I hope to be a TV presenter and speak for those who don’t have the opportunity to be heard. In Nigeria, the voices of out-of-school girls are not often heard. So I decided to do something about it. I became an advocate. I researched the issues girls face. I discovered that girls as young as 13 are forced to get married or to get jobs. Girls have to stay at home because they don’t have access to sanitary pads. Girls must pay for their education through construction work or hawking. With my father, I founded an organisation called Youth Advocate for Sustainable Development. We talk to parents about why their daughters should be in the classroom. We advocate for the government to make sanitary pads free. We go to other communities and help out-of-school girls in need. Through my work, I met Rejoice. She is 15 years old like me, but her village doesn’t have a school. She had to wait to enrol until she was old enough to walk alone to the next village. 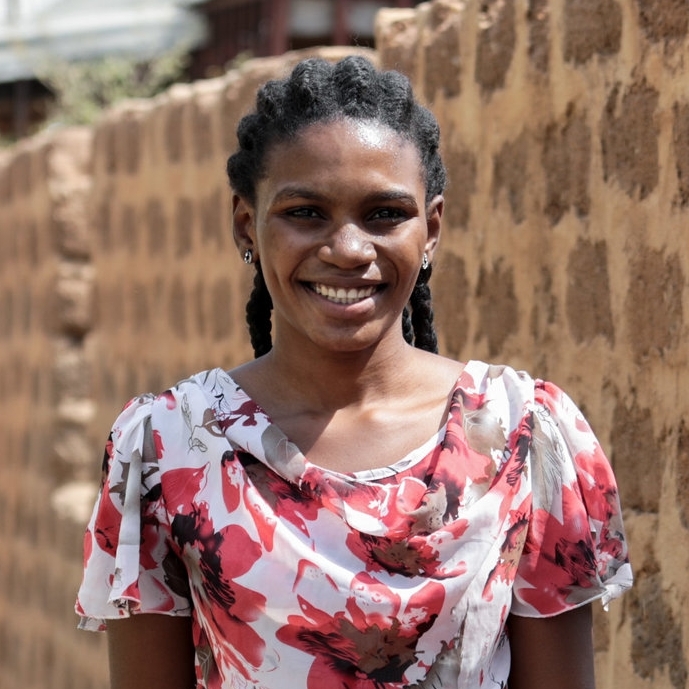 Once she was in school, she was forced to drop out because the fees were too expensive. Rejoice started working at the river, packing bags of sand. This young girl — who should have been in the classroom — was forced to carry 20 to 30 pounds of sand on her back. When I met Rejoice, I felt sad. I felt angry. And I knew I had to help. I nominated her for a scholarship and she is now back in school. She is studying to become the first doctor in her village. Stories like Rejoice’s have been overlooked for too long. So I hope that you hear us. Hear us when I say: going to school should not be so hard. Hear us when I say: girls should be in the classroom. Not in the kitchen. Not getting married. Not hawking. Not packing bags of sand. I speak on behalf of every single one of my out-of-school Nigerian sisters. We have fantastic dreams for our futures, but we can only achieve them if leaders invest in 12 years of free, safe, quality education. Girls like me and Rejoice are fighting for girls’ education, but we shouldn’t have to fight alone. We are calling on each one of you to join us. Will you hear us? Peace Ayo is 15-year-old student and Malala Fund girl advocate from Nigeria. She hopes to be a TV presenter and speak for those who don’t have the opportunity to be heard. Najlaa overcame forced marriage and terrorists, but getting to school is still difficult.